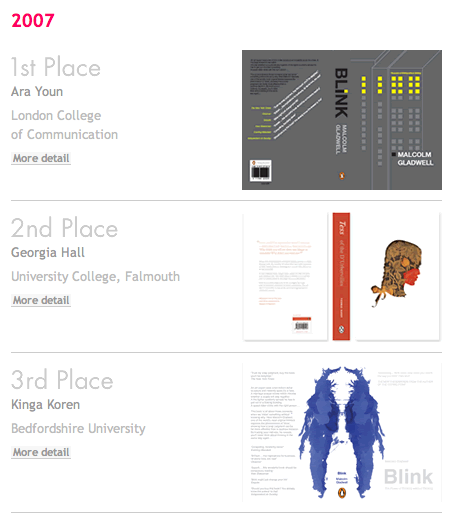 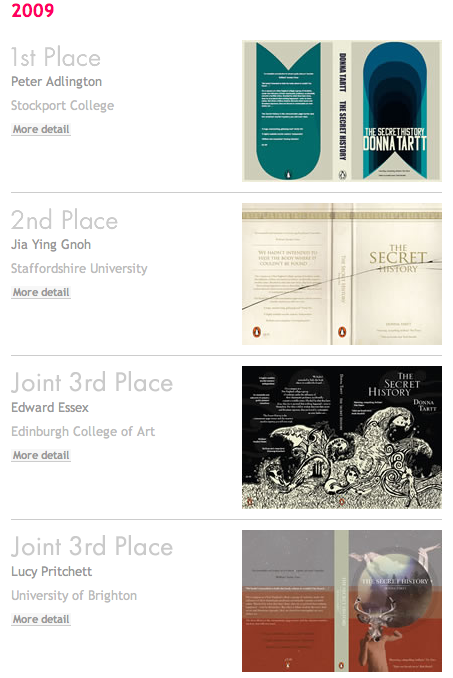 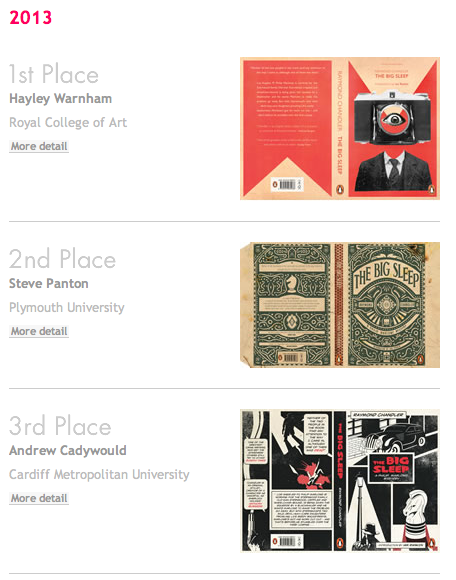 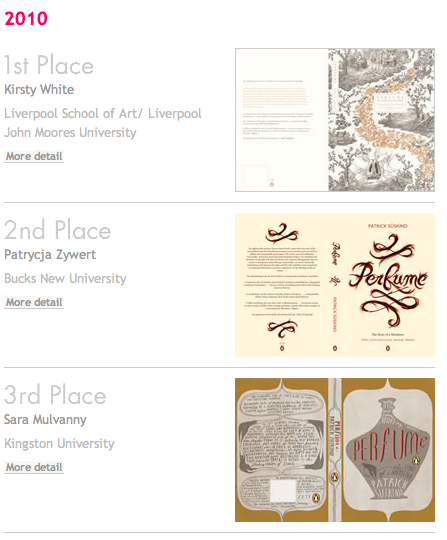 Below are the names, institutions and book covers of the previous Penguin Design Awards. 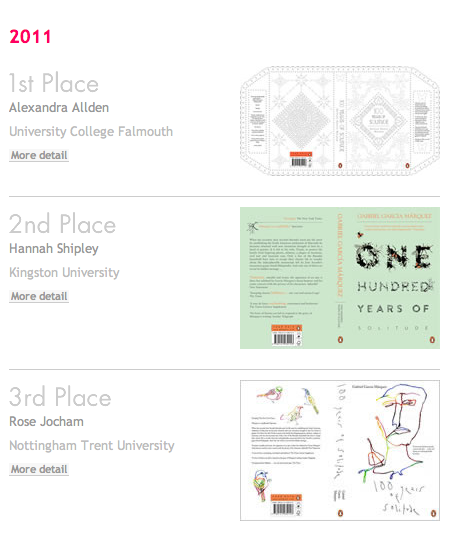 I found it interesting to see the range of ideas created and submitted and the vast, very different range of covers which Penguin decide are winners. 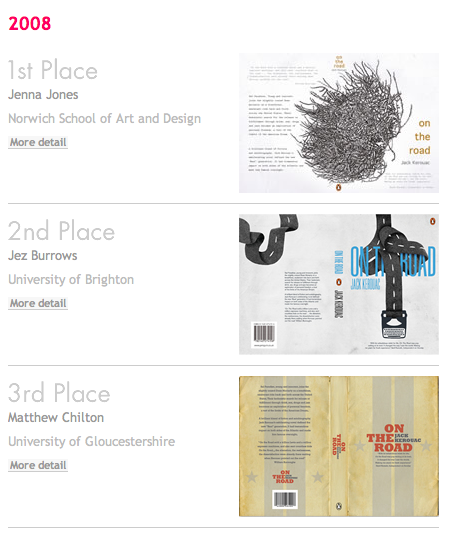 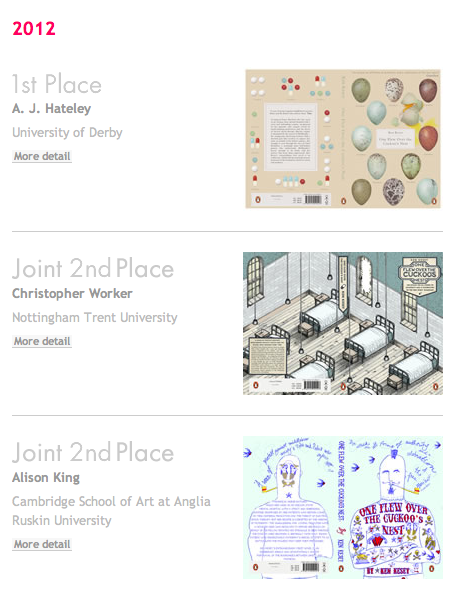 A great boost and motivation to submit a winning cover, as this would be Leeds College of Art 1st year of potentially winning.